How can one small bottle of liquid power four homes for a year? Oxford scientists have been developing a solar device using something called perovskites, which can boost the performance of existing solar panel technologies. Perovskites are used to create a low-cost, highly efficient solar cell absorber material that converts sunlight into electricity because they can be tuned to capture wavelengths of light that traditional solar panels can’t. This layer can be almost completely transparent, and can even be employed in windows. Every hour, enough light falls on the earth to power the planet for a year, yet today less than 1% of global electricity is generated from solar power. 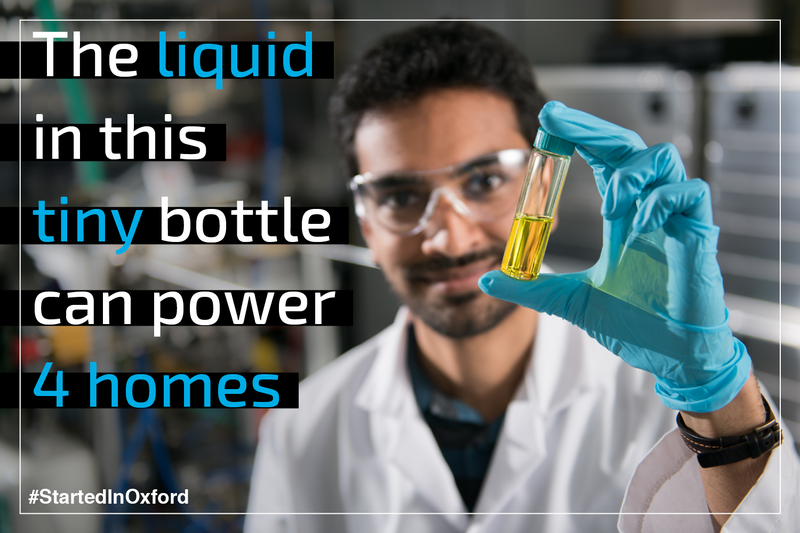 Oxford PV are out to change that, and their perovskite devices can even be used on houses and glass-clad high-rise buildings to transform the ways in which solar energy is harnessed, and allow solar energy to contribute a much higher proportion of electricity than is possible today. So one day, all our windows might also act as solar panels – the future certainly looks bright!